Okay, this is quite embarrassing. For more time than I’d like to admit I thought that Houston was the name of some really smart guy at NASA. 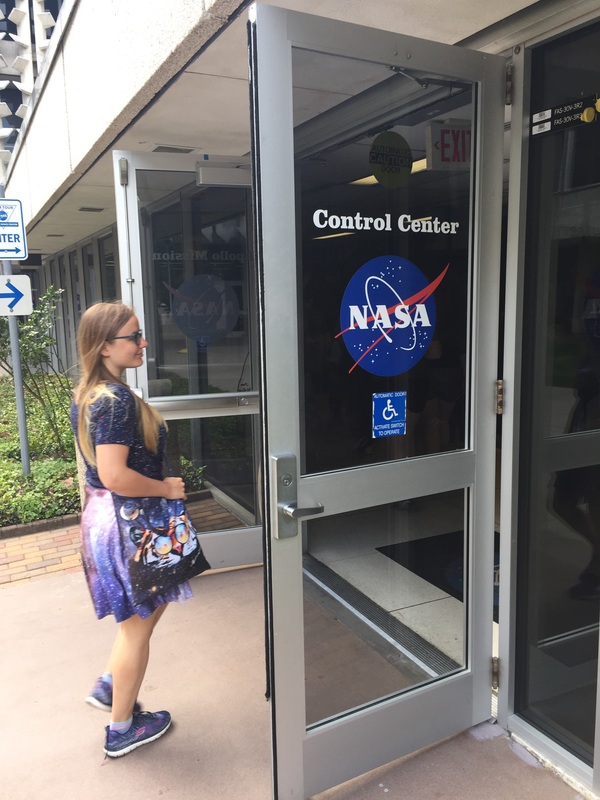 It took me the while to realize there’s actually a whole space center in Houston, and soon after that I got a chance to go there and see it myself. As much as I enjoyed all the tours, exhibitions, and seeing it all from the inside, it was actually a very heartbreaking experience. It totally blows my mind how they sent folks to the Moon and back with the sixties’ technology. The onboard computer on Apollo 11 had 64kB memory, and even this was mostly read-only. 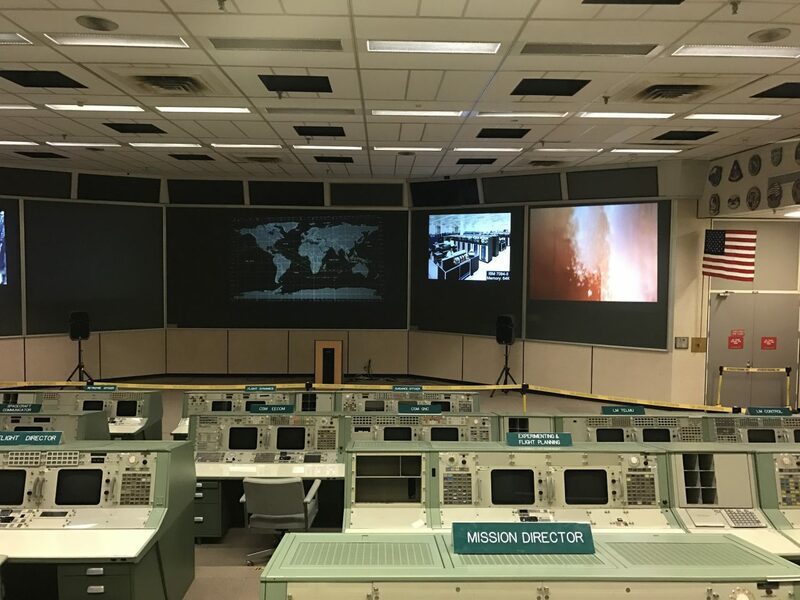 At the Mission Control where they did the heavy math, all available machines combined had less than 9MB memory in total. They also occupied the whole base level of the whole building. Mission Control as seen from the front row. Some very important folks used to sit there, like several US presidents or the Queen of England. Somehow, with all technology constraints they had, they managed to calculate the correct flight trajectory, fire all engines precisely when needed, make sure the spaceship stays on its course, monitor its status and astronauts’ health, and lift off the Lunar Module in just the right time with just the right speed to return it safely back to Earth. Imagine what humans could do if they had a thousand times more powerful machines? Hey, let’s dream big – what about a million times more powerful ones? My phone’s rocket science at work. The astronaut on this photo is Michael McCulley, and he’s as cool as the guys who flew to the Moon. He just had the bad luck of being born a little bit too late. 48 years after the famous Apollo mission, it still remains the humanity’s greatest achievement in space exploration. 48 years is more than it took to get from the first airplane ever to sending men into space. Let that sink with you for a moment. Since the Apollo program, we’ve taken baby steps back into space, but nowhere near where we used to be back then. 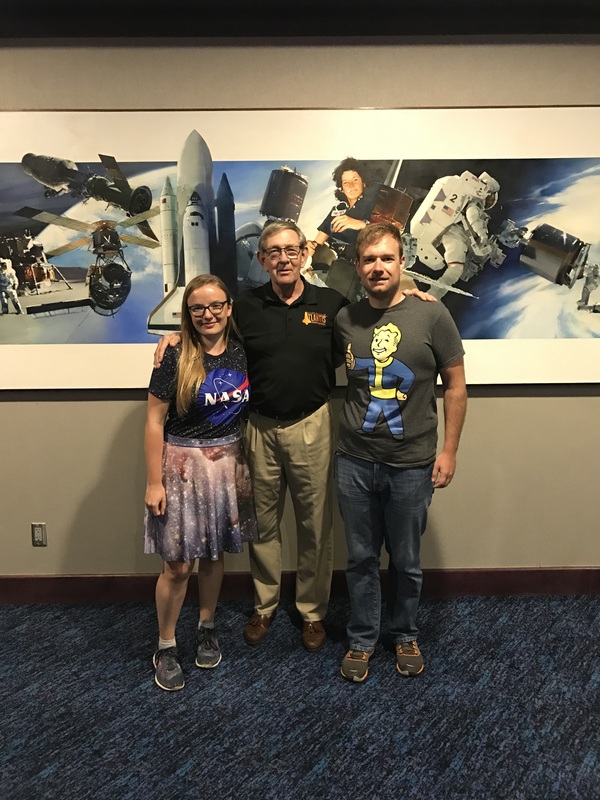 There was an exhibition at NASA about their upcoming mission to Mars. Unfortunately, that’s not going to happen in this decade, and most probably not in the next one either. With all my enthusiasm for Mars exploration, I was still quite underimpressed. 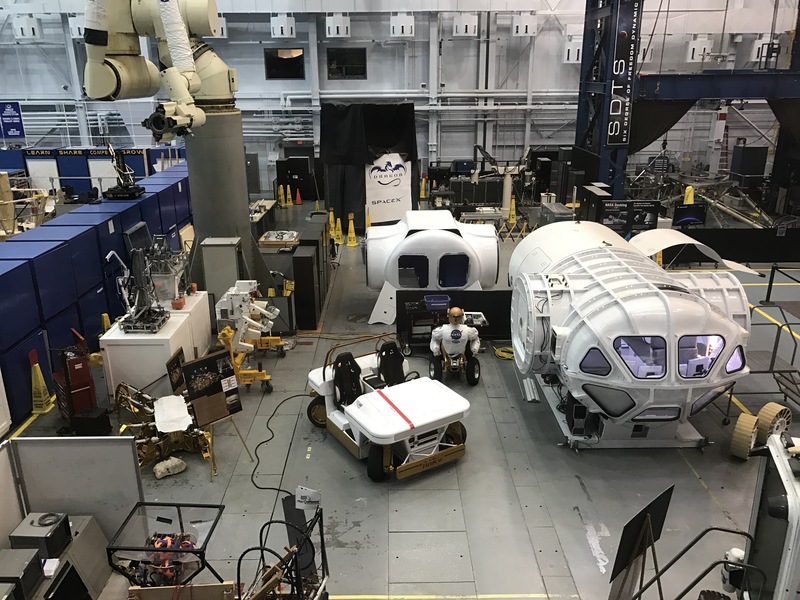 Testing Mars rovers and robots at NASA training center. The SpaceX Dragon capsule hasn’t arrived there yet. Of course, I don’t blame anyone at NASA. They’re desperately underfunded. Someone somewhere must have decided the billions of tax dollars carelessly burned by spaceships in the atmosphere could be used for more virtuous purposes, like healthcare or education. Or killer spy drones. I know I shouldn’t be surprised. That’s what governments do. They prefer to spend money on stuff that will most likely get them elected again to the office. Once the Soviet Union developed sufficiently good missiles, military importance of space exploration decreased a lot – and so did the funding. 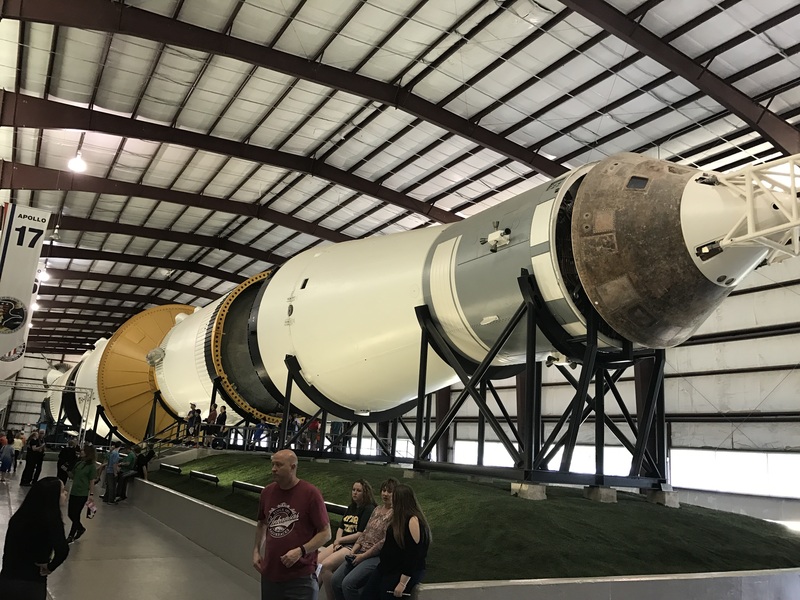 The retired Saturn V rocket. Nothing more powerful has been built so far. I know I shouldn’t be surprised, but it hit me really hard while I was walking among the artefacts of the past NASA glory. Why would taxpayers choose spending on army over science in the first place? Is the return on investment in science working so slow, that we fail to notice all the benefits we’re getting? Do we really feel more secure by pouring more and more money into the military? I dream of a world where all nations would invest at least as much in science as they do in their armies. Imagine where we could be in just 10 or 20 years? Or what our phones would be capable of with all that rocket science? Houston, we must have gone terribly wrong at some point. Where do we go now and what do we do to fix it? It is indeed deeply saddening. “Imagine what humans could do if they had a thousand times more powerful machines? Hey, let’s dream big – what about a million times more powerful ones?” – of course they would play pokemon go. It made me realize how big effort and achievement moon landing and space exploration in general was.